So the Brooklyn Nets are not having the best season overall, but there’s something to be happy for. 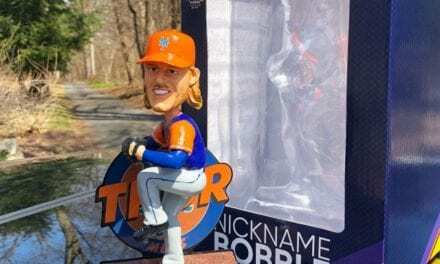 Their bobblehead giveaways. 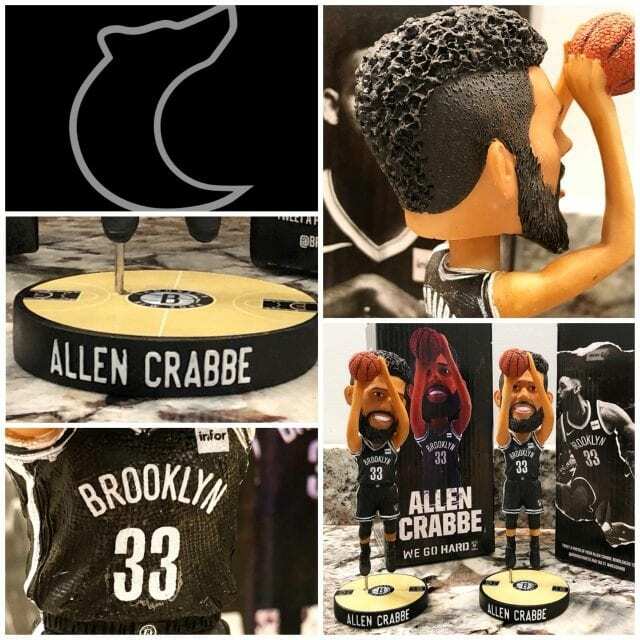 The Nets once again are giving away another gem of a bobble and tonight’s giveaway is Allen Crabbe. I’m sure the lines will be jam packed to get into the Barclay’s center and YOU should be there if your near the NY area. 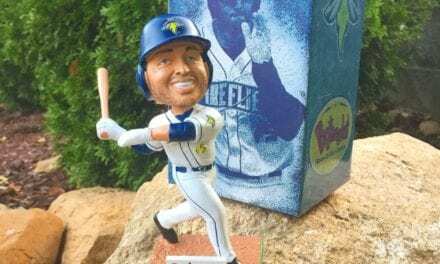 Coyote Promotions manufactured this beauty and it’s a must have in your bobblehead collection. Crabbe is a matchup nightmare. As a 6’6 shooting guard, he’s literally impossible to guard. 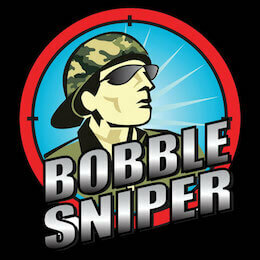 Does he have Lebron and D-Wade finesse? No, but he’s got the ability to put fans in seats. 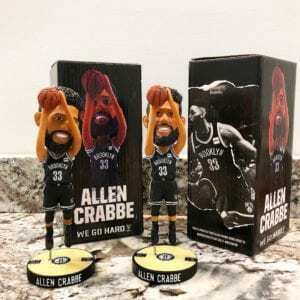 I love the fact that Coyote designed this bobble of Crabbe in his shooting pose as draining 3’s is Crabbe’s game. 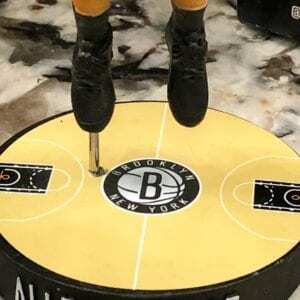 The base highlights center court at the Barclay’s Center and his name has raised white letters against a black backdrop that makes it stand out. 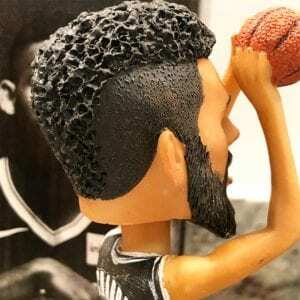 Sniper Rating: The mohawk hair design is incredible as Coyote added ridiculous detail along with Crabbe’s trimmed beard. The Nets have some of the best NBA SGA’s as there’s no other team that rocks the all-black colors, which is a dope feature. 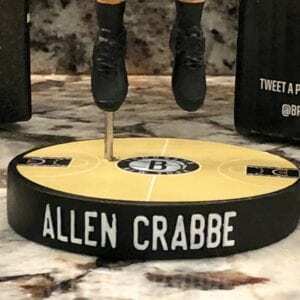 Coyote once again provided us fans with a deluxe box as Crabbe has multiple photo’s around the perimeter. 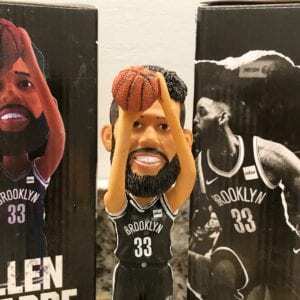 Hands down a 9.0 rating for this Brooklyn Nets Allen Crabbe bobblehead and you should already be making plans to get to tonight’s game. 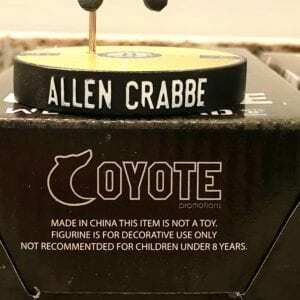 The Nets and Coyote Promotions GO HARD. 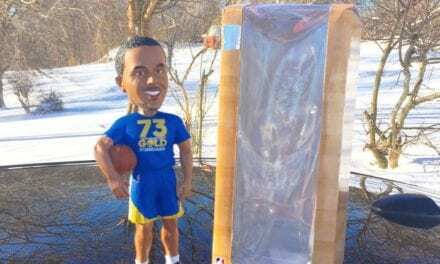 PreviousWould you trade Barry Bonds for Clayton Kershaw straight up? 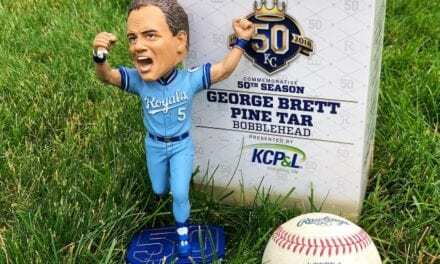 NextDo you throw your unwanted bobbleheads away?